Editor's note: Our guest blogger this week is Mark Prestipino, Envista CEO. 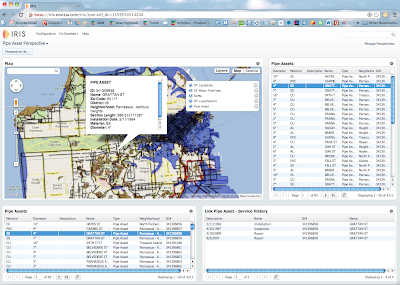 Looking for ways to provide enhanced map capabilities to its utilities customers, Envista talks about integrating Google Maps Engine into its IRIS technology. See what other organizations that have gone Google have to say. With miles and miles of underground pipeline and transmission lines to manage, the ability for our utility customers to quickly locate and keep track of their assets is vital to running a successful operation. Thanks to Google Maps Engine, we've been able to create a powerful map platform that makes this all possible. IRIS, our newest solution for the utility industry, is a cloud-based Platform-as-a-Service (PaaS) technology that allows an organization to develop custom map applications without the need for complex coding. Incorporating an organization’s business and location data into a single platform, IRIS apps provides the location-relevant information needed to efficiently maintain critical assets in the field. Scale: Founded on Google’s core infrastructure, Google Maps Engine provides IRIS users with unrivaled scale and reliability. This enables the information and image-processing power needed to store, manage and publish maps with layers and layers of high resolution geospatial data. Familiarity: IRIS apps users can see their data visualized on a Google Map. This simple user interface -- combined with the incredible, up-to-date imagery of Google Earth -- lets people build their own map applications and understand what they see on a map with very little training. Mobility: With pipeline and asset management primarily taking place in the field, access to map data anytime, anywhere is critical. The Google Maps Engine cloud platform allows IRIS maps to be used in almost any environment -- mobile, remote or offline. 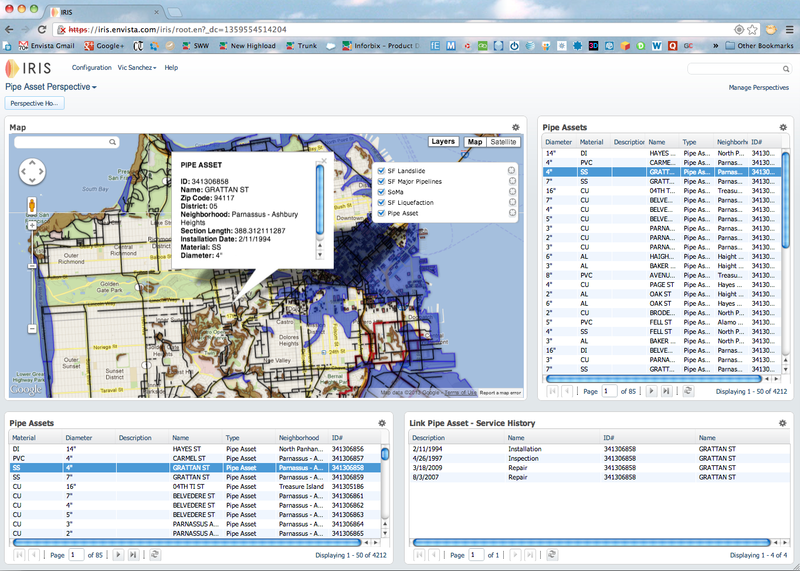 Maps are an invaluable tool for the utilities industry -- and so is scalable, simple-to-use technology. When it comes to providing our utilities customers with a map solution they can rely on, Google Maps Engine is the clear choice for us. Editor's note: Our guest blogger this week is Tristan Dobbs, Technical Services Team Guru for Classic Cinemas, a family-owned movie theater chain based in Downers Grove, IL. See what other organizations that have gone Google have to say. Classic Cinemas has been bringing families, couples, kids and film enthusiasts together in front of the silver screen for more than thirty years – around the time Christopher Reeve donned the famous tights and cape for “Superman” in 1978. Over the years, we’ve grown to 500 employees and over 13 movie theaters in and around Chicago. We’ve also outgrown the film technology we started with. After years of using 35-millimeter film projection systems, we upgraded to 4K Ultra High-Def Digital Projectors. We’re a true 21st century cinema. When I joined the IT department in 2012, it was clear we were in need of another upgrade – this time, from our Microsoft Exchange server. We had ongoing issues with downtime that cost the company a lot of money and the IT team a lot of time. We looked into cloud-based systems and Google Apps was exactly what we needed – the 99.9 percent uptime sold us. We switched to Google Apps with the help of Cloud Sherpas in August 2012 and couldn’t have been in better hands. At no point did we ever have a question that they couldn't answer. Data migration? They walked us through each step along the way and made sure we didn't lose a single megabyte. Change management? They ran webinars for all of our employees about moving from Outlook to Gmail, Word to Docs and Folders to Labels. They made switching feel seamless. We created an employee intranet on Google Sites that houses all our necessary documents – employee schedules, upcoming screenings, movie schedules and parking lists, among others. This means everything important sits in one single place, and everyone on the team can access it. No more wild goose chases over email and no more bothering groups of people with email barrages. Google Apps also helped us bring our maintenance request system up to date. Before we switched over, people wrote out their problems in a Word doc and emailed them to us, then we printed them out, tracked them on a bulletin board, and took them down one by one as the maintenance team went on-site to handle each issue. With Cloud Sherpas’ help, we built a Google Form on our intranet, so now everyone submits their requests online. The Form automatically feeds into a spreadsheet, which alerts the maintenance team that work needs to be done. We’ve been able to dramatically reduce administration time and boost our productivity to a new level. We now have complete history and statistics capabilities, as well as the ability to identify trends and be more proactive. Just as digital technology helped us move into the modern era of film, Google Apps has helped us adapt to the future of business. It’s been a smash hit for us - just like “Superman” was back in the day. Editor's note: Our guest blogger is Jim Nonn, CIO at Egan Company, a Brooklyn Park, MN-based commercial contractor. See what other organizations that have gone Google have to say. Egan Construction is an approximately 800-person construction company in Minnesota currently working on the Central Corridor Light Rail, the biggest construction project in the history of the North Star State. 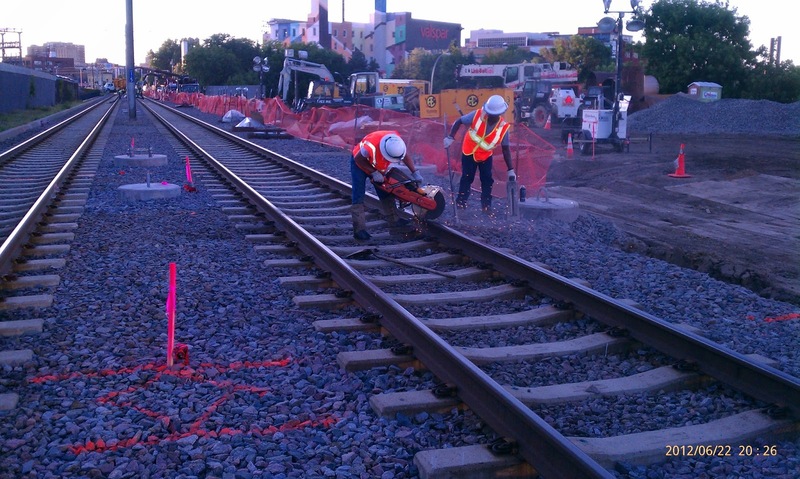 The Light Rail will stretch 11 miles through five major areas of interest, and is expected to be done in 2014. As CIO of Egan, I want to provide my organization with technology that helps connect the job site with the main office, the tools and parts warehouses and our executives. A year ago, we were looking for a solution that would avoid having a fleet of expensive, quickly outdated and slow Microsoft Windows laptops that constantly break or need replacing. I’ve heard stories from other construction firms that Monday mornings were like the movie Groundhog Day, with the IT team tackling the same four-foot high stack of malware-infected laptops over and over while work ground to a halt. I didn’t want to experience that. After surveying the market, we decided to move to Chromebooks for our 140-person foreman staff. They’re lightweight, turn on and off in an instant, and provide easy access to business apps that we use every day. Chromebooks also integrate nicely with Google Apps, which we use to run our business in the field. The workers love the Chromebooks because they aren’t afraid to use them on the job. If one does get damaged, we can swap it out for another one in a matter of minutes, with zero time wasted or data lost. Also, we’ve saved so much in moving forward with Chromebooks instead of Windows laptops - about $200 per machine. Rolling out Chromebooks to our staff was extremely easy. We have two people and an intern in our IT support department, and I wanted the intern to manage the deployment process. I figured he’d only get so far, then my IT guys would have to jump in, but he did it all on his own. If I would have rolled out the same number of Windows laptops, I would have had to hire additional staff just to manage that. And with Chromebooks, we haven’t been plagued with ongoing support requests. The scale of the light rail project really brings to light how valuable the Chromebooks have become to our organization. At Egan, we take pride in the fact that we’re building something that so many Minnesotans will use. The light rail will bring people together that didn’t have an easy way to connect previously. I like to think Chromebooks have done the same for Egan. Every day, millions of companies, schools and governments around the world run their organizations on Google’s enterprise solutions, including Google Apps, the Google Search Appliance, Google Maps and Earth, and Google Cloud Platform. We’re committed to helping these organizations succeed, but we can’t do it alone; our partners play a crucial role in ensuring customers get the most out of the technology they use. Companies rely on our partners to provide everything from hands-on deployment and technical support to customized applications that integrate seamlessly with Google’s products. Today, we kicked off our inaugural Global Partner Summit at our headquarters in Mountain View, CA. More than 400 partner leaders from around the world are joining us for three days of training, planning and sharing best practices. We’ll also take time at the Summit to recognize the great work that so many of our partners have done helping businesses embrace new solutions and move to the cloud. Googlers joining our partners this week to discuss the state and future of business technology include Vint Cerf, Google’s Chief Internet Evangelist; Patrick Pichette, Google’s Chief Financial Officer; Urs Hölzle, Senior Vice President of Technical Infrastructure; Amit Singh, President of Google Enterprise. To help partners build their expertise and prepare for certification exams, we’re launching a partner university. The university will feature a combination of self-guided online courses, instructor-led online courses, and in-person classes that can be taken individually or sequentially. We’re also doing more to recognize outstanding resellers across different products. Two years ago, we began recognizing certain Google Apps resellers as premier resellers. Today, we’re adding similar ‘premier’ designations for our top partners in our Search Reseller Program and our brand new Maps for Business Reseller Program. If you’re a business, check out Enterprise Partner Search to find local experts who can help you move to the cloud. Or if you’re a company interested in joining our partner program, visit this website. Editor's note: Our guest blogger this week is Peter Hutterer, Content Manager at Österreichische Post AG, Austria’s leading logistics and postal service provider. Österreichische Post AG is the leading logistics and postal service provider in Austria with about 20.000 employees. More than eight million Austrians trust us every day to deliver their letters, advertising materials and packages securely and quickly. As a stock market listed company, we make an important contribution towards maintaining and securing the communication and logistics infrastructure in Austria. We always look to the latest technologies to further enhance the quality of our service, and are convinced that good service is only possible if our customers, employees and partners can find what they are looking for quickly and easily. That is why we chose to implement the Google Search Appliance 7.0. The recently launched project – first implementing GSA for our website and online shop pages and later using it for our intranet – is expected to be completed by mid-2013. Then, 9,000 employees across Austria will use the GSA, which will allow them to locate internal information and documents, share these with the entire workforce and improve our internal networking. The personalized intranet search experience enabled by the GSA is another key factor that played a role in the decision to go with Google’s Enterprise Search solution. With the GSA, we can also search within the organisation for experts in different subject areas, and thus tap into the “wisdom of many” across all our locations to execute our work. In addition, while up to now we've been using various search engines within the company, the move to one and intuitive GSA will lower our IT spend. However, GSA doesn’t just give our employees a fast and easy search experience that yields the most relevant results; our customers also benefit from our implementation of the Google search solution. They are used to finding everything they need extremely fast by searching on Google.at. And now the GSA will give them the same experience on our website, making it easier to navigate the jungle of our diverse service portfolio, including information about package rates, mail forwarding services, e-letters, store locations and more. The GSA helps people find the right information faster and delivers the most relevant results for their queries. What’s more, with the GSA, our IT staff can better analyze customer search queries, which, in turn, lets them design the website to be more user-friendly. But that’s not the end of it: in the future, we will use GSA to better calibrate our service offers to make sure we meet and exceed the needs of our customers. See what other businesses that use the Google Search Appliance have to say. With a new academic year comes a new way of learning. Increasingly primary, secondary, and university students and faculty are using Google Apps for Education, a free suite of productivity tools designed to help people work together better. This also include three top-tier universities in Australia who are going back to school this year with Google Apps. The universities of Griffith, Macquarie and Monash join the community of thousands of institutions worldwide using Google Apps for Education to enhance their students’ learning and to increase organizational efficiency. This community includes 72 of the top 100 schools in the USA and 20 million students and teachers worldwide. Griffith University is a leading research university with a strong international focus spread over 5 campuses. They were looking for an easy-to-use communication and collaboration platform that offered more storage capacity and a better user interface, regardless of access device or location. Monash University has a presence in Malaysia, South Africa, India, Italy and China, and benefits from being able to streamline communication among its dispersed students and staff. Macquarie University was in fact the first university in Australia, and amongst the first in the world, to offer Gmail to their students, setting up 68,000 accounts back in 2007. Since then, they have switched on more and more of the suite’s features, and in 2012 even became the first Australian university to map its campus 3 dimensionally in Google Earth. Several students from each of these universities have also been appointed as Google Student Ambassadors this year, and will join students from 25 other universities this week in our Sydney office. They will learn first-hand how Google Apps for Education can help to uncover a new way of learning, and help others on their campuses to use technology for good. For more information about Google Apps for Education, and to sign up today, visit www.google.com/apps/edu. Or say hello in person June 3-5 at EduTECH in Brisbane, Australia. Through the Google Apps for Education Support Program, 14,000 teachers, students and staff from Mae Fah Luang University will now use Google’s collection of free email and open collaboration tools, including Gmail, Google+, Docs, Calendar and Groups, and be the first educational institution in northern Thailand to go Google. Being cloud enabled means students and teachers can take full advantage of the web and collaborate wherever they are. 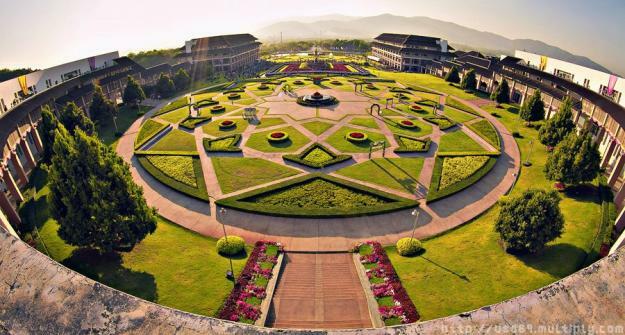 No matter if they are on a bus, at home, or enjoying one of the many beautiful gardens on the Mae Fah Luang University campus. Leading-edge technologies, like cloud computing and collaborative tools, have a vital role to play in helping equip future generations with the skills they need to thrive in the workforce of today and tomorrow. Why is going Google greener? In addition to supporting learning, the move to the cloud will also help Mae Fah Luang achieve their sustainability goals. Our energy efficiency efforts mean our cloud is greener, ensuring that colleges, universities and businesses that use our cloud based tools, such as Gmail and Google Apps, are greener too. Our analysis suggests that a typical organization can achieve substantial energy and carbon savings—ranging from 65 to 85 percent—by migrating to Google Apps and that an organization using Gmail can decrease its environmental impact by up to 98 percent. Just 9 months ago, we were excited to announce the first university in Thailand to go Google in Khon Kaen province. Today 13 educational institutions and more than 300,000 students, teachers and academics in Thailand have gone Google, and that’s just the beginning. 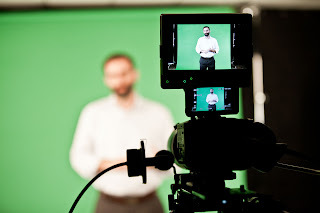 Editor's note: Our guest blogger is Jared Tabler, Vice President of Operations at ICOM Productions, a Calgary, Alberta-based eLearning company. See what other organizations that have gone Google have to say. ICOM Productions is a 100-person company focused on helping companies better engage and develop their employees by freshening up their training programs. We pride ourselves on being progressive, young and vibrant; we encourage our employees to question old habits, push the envelope and change the way we teach and learn every day. When I joined as VP of Operations less than a year ago, I was shocked by how our progressive mentality clashed with our old, slow and unreliable technology. We were using a piecemeal technology solution built around Microsoft® Exchange that made everyday processes disjointed and inefficient. We wanted employees from each of our three offices to be able to collaborate on projects, but the process of emailing versions back and forth and editing them in silos wasn't quite the collaboration we were looking for. We knew we needed something better, but upgrading to the newest Exchange Server would have cost us a fortune and still leave us three years behind the latest technology. It turned out that our forward-thinking employees were pushing the envelope with technology on the side, too: they'd started using their personal Google accounts at work. They were sharing files through Google Drive and creating project hubs with Google Sites. Over the next few months, we talked with our employees and Agosto, a Google Apps Reseller, and we came to a clear conclusion: moving ICOM to Google Apps was the best path forward. In the Fall of 2012, Agosto partnered with our technical team to put a migration plan in place, and 30 days later, all 100 employees were on Apps. It was the fastest IT implementation I’ve ever done. Google+ Hangouts have completely revolutionized our recruiting process. Instead of relying on phone screenings, which don’t really convey a candidate’s personality, or flying people to Calgary, which is expensive, we use Hangouts, which cost nothing and bring each prospect’s character to life. We like to do group interviews via Hangouts to see how people think and interact - group collaboration is huge at ICOM, and you get a good sense of that over video conference. Our candidates love that we’re using new technology and we love that we’re still getting the same valuable insight about our candidates. Google Apps has helped us be more efficient, more forward-thinking and more cost-effective. It’s also helped us strengthen the ICOM culture we pride ourselves on - being creative, asking thought-provoking questions and working as a team. All of this, of course, means that we’re getting better at what we do: helping other companies teach and train their employees more effectively. Just like what Apps has done for us. Editor's note: Our guest blogger is Tony Floyd, Chief Marketing Officer at Prudential Georgia Realty, metro Atlanta's largest real estate brokerage. See what other organizations that have gone Google have to say. At Prudential Georgia Realty, our associates work hard to deliver valuable services to their clients. Their work ethic and great skills have helped us become the largest real estate company in the Greater Metro Atlanta area. We were recently named by REALTrends as one of only 17 real estate companies in the country to increase its sales volume, agent headcount and agent productivity over the last 10 years. With more than 1,000 agents in 22 offices, spread out over 43 counties around Atlanta, it is critical for our agents and staff to communicate efficiently with current and potential clients. Communication is the backbone of our business - our agents have to manage a lot of contacts, files, photos and other information and they need access on their mobile devices. We had two separate email systems, a hosted Microsoft® Exchange 2007 server for employees and an open source solution for our agents. We wanted to migrate to a single system that allowed us to support the transition to a more virtual working environment and foster better collaboration internally. Another consideration was the ability for our agents to organize and manage their contacts into groups so they could run campaigns and stay in contact using any of their devices. After a careful evaluation, we decided to move to the Google Apps platform. We migrated the employees to Google Apps in December and have already seen an improvement in our communication. When our agents go live, Google Apps will help them run their business from any location using any device. Google Groups will let agents easily organize and manage their client and contact lists, so with one click they can send more relevant marketing content to a specific group of people. Most importantly, since it’s all in the cloud, these Groups will automatically sync to any device so the agent can follow up with a personal phone call. Google Drive allows us to share large files and documents and manage the security at the same time. We plan to implement Google Sites, so each branch or division will have a searchable and sharable place to store information like a high resolution photos. Teams can work together on projects more effectively and collaborate on live documents. Agents will now be able to create personalized Google Sites tailored to specialized groups of prospects like first time buyers, baby boomers, or potential luxury home buyers. Real estate is a very competitive business. Google Apps puts the information at our fingertips, which gives us a leg up. Leveraging the right technology can be game changing for the real estate industry, and we’re excited to be a leader in that effort. Editor's note: Today’s guest blogger is Lou Giannotti, CIO at the United States Naval Academy, the undergraduate institution of the United States naval service. The United States Naval Academy (USNA) has graduated more than 78,000 young men and women to serve in America’s naval service since being founded in 1845. The technological landscape of the country has changed dramatically over the past decade, and USNA has kept pace by providing its students, called midshipmen, with the educational resources required to be effective Navy and Marine Corps officers upon graduation. Similar to other top educational institutions such as the Ivy League schools, Stanford and MIT, USNA is in constant flux and continuously trying to stay on the technological cutting edge. Thousands of midshipmen enter and depart each year, all requiring mandatory and standardized email addresses and account changes. This presents a significant challenge of ensuring old email accounts are properly deleted and new accounts created quickly. Faculty, staff, and midshipmen rely on a wide array of smartphones and tablets for communication and collaboration. For years, USNA employed an appliance-based email solution that offered secure communications, but proved to be expensive and limiting over time. USNA paid a hefty license fee for every mobile device accessing email. With the exploding mobile component of the environment, we sought an alternative solution. During an analytical review of alternatives, USNA discovered the bulk of the 4,400 midshipmen were using personal Gmail accounts. USNA embarked on a trial of Google Apps for Government, providing midshipmen Gmail while allowing USNA to protect school data from uncontrolled exposure to the public domain. It provided a full suite of communication and collaboration tools such as Docs and Calendar. Coincidently, Google Apps for Government also provided universal mobile access with no additional licensing costs. USNA began with 100 users putting Google Apps through its paces, including testing much needed capabilities like using Calendar to schedule resources like rooms and equipment, and sharing documents for collaborative efforts. Following a successful trial, phase two included applying Google Apps to all faculty, staff, and midshipmen. Today, Google Apps supports approximately 7,200 users at USNA. We use Gmail the most, with some faculty using its chat feature to communicate with midshipmen for official purposes. USNA maintains roughly four terabytes of mail without the burden of operating onsite storage and backup systems. More and more users are also taking advantage of Docs and Calendar. In fact, the midshipmen and faculty create an average of 5,000 Google Docs daily. Users enjoy the sharing capabilities, enabling greater collaboration. This is enhanced further as Google Apps allows access on any device users choose. Google Apps provides USNA with flexibility and enables management of the constant change of midshipmen turnover at a lower cost than before. The mobile access alone makes Google Apps a worthwhile investment at $50 per person. It lets us make better use of the taxpayer’s dollars. The greatest value is the ease of creating and sharing information between midshipmen, faculty, and other institutions making Google Apps a core collaborative asset in the educational process. Editor's note: Today’s guest blogger is David Gendel, Corporate IT Director at Allrecipes.com, the world’s largest digital food brand. See what other organizations that have gone Google have to say. Allrecipes.com started in 1997, when Tim Hunt couldn’t find his favorite chocolate chip cookie recipe online. He vowed that other cooks like him shouldn’t have to deal with the same problem, and started CookieRecipe.com. From there, he created even more recipe sites that eventually came together into the site we know today: Allrecipes.com. Fifteen years after that cookie baking epiphany, we have more than one million user-generated recipes and 30 million visitors per month. That’s a lot of people looking for more than just chocolate chip treats. I took over as IT director for Allrecipes.com a year ago, and fixing our aging email system sat at the very top of my first to-do list. We culled our top options—Microsoft Exchange, Microsoft Office 365, and Google Apps for Business—and put them through the ringer. After testing, analysis, and focus groups, Google Apps came out on top. With the help of our partner, Cloud Sherpas, we moved all of Allrecipes.com employees over. Changing old habits is hard, especially when it comes to technology, but after just five months, it feels like Google Apps is second nature to us. We want all of our employees to be able to work from wherever they are, with whatever device they have with them. With Google Apps, they can do just that - we use a mixture of mobile devices and operating systems, and our teams can switch seamlessly between them. I don’t always have my laptop with me, but with the Google Drive mobile app, I just jump into a doc on my smartphone or tablet to review or edit it, whether it’s during a meeting or on the way to the airport. Needing to fix a document on the fly doesn’t mean needing a computer anymore. We move quickly. Apps moves with us. Hangouts also help us stay connected. Our social media manager recently moved to Australia, but with Hangouts, it’s almost as if she never left. We have video conferences with her throughout the week, and you wouldn’t know she’s halfway around the world. Our technical teams also use Hangouts for off-hours maintenance. They get excited about being able to see who they’re working with as if they were both in the office, interacting as if they were in person, and sharing their screens to help expedite problem solving. We love that video conferencing is so seamlessly integrated with the entire Apps suite, and we don’t have to use or pay for a separate program. Food is more than just food – it brings people together and creates shared experiences. At Allrecipes.com, we’re proud to provide so many people with the foundation for those experiences. Google Apps brings our company closer so we can focus on helping home cooks make magic in their kitchens, one cookie or casserole at a time. Editor's note: Our guest blogger is Felix Müller, International Digital Marketing Manager at Beiersdorf AG, a global leader in skin care with headquarters in Hamburg, Germany. Skin care has been our core expertise for 130 years. From our headquarters in Germany, we at Beiersdorf AG market one of the world’s most successful skin care brands: NIVEA. In order to move forward in an industry that we've been in for a long time, it’s important for us to have a finger on the pulse of the market and focus on the ever-changing needs of our customers. Today, more of our customers are using the Internet to find our products and we wanted to make that an easy experience for them. Google Search Appliance offers visitors to our websites a significantly enhanced experience. 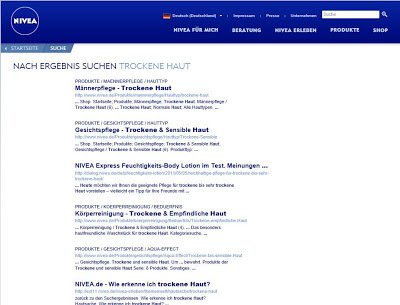 It is a scalable hardware solution that offers a Google-like search experience for our public NIVEA websites worldwide. For our users, it offers the same kind of easy, fast and relevant search experience that they know from Google.com, while our company benefits from complete flexibility and control over the online user search experience. That is a great help to us, particularly when it comes to turning potential customers into real ones. We have now rolled out the Google Search Appliance globally for a total of 74 conventional and 12 mobile, country-specific websites of the NIVEA brand. Google Search Appliance has personalized and improved the visitors’ experience on NIVEA websites: when searching for products, they receive country-specific suggestions and results that also adapt based on patterns in the respective market. 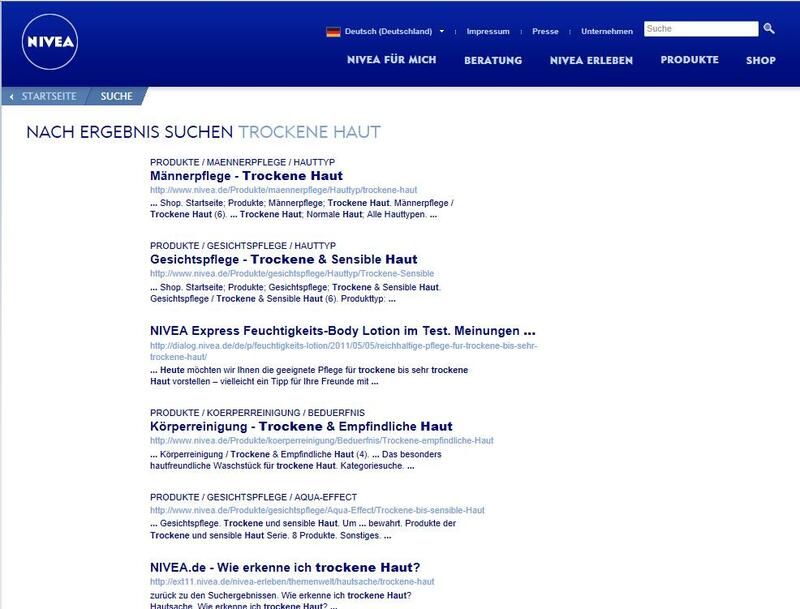 For example, if a site visitor in Germany starts his or her search with "de", the first suggestion he or she will see is “deo ohne aluminium”, while the same query in France will suggest “devenir testeuse nivea”. So that the search process actually yields successful results, searches in English, Spanish, Portuguese, French, Italian, German, Dutch and Arabic are supported by extensive features such as integrated thesaurus and an automatic, self-learning spellcheck function. The upshot is that the Google technology now makes it a whole lot easier for our customers to search for content that is relevant to them. See what other companies that use Google Search Appliance have to say. 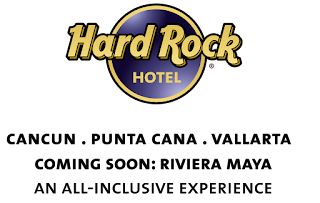 Editor's note: We are excited to have guest blogger Jaime Garcia, IT Corporate Director of the All Inclusive Collection with over 5,000 employees at Hard Rock hotels in the Mayan Riviera, Cancún, Puerto Vallarta, and Punta Cana. See what other organizations that have gone Google have to say. At Hard Rock hotels, we don’t want to be a normal hotel; we want our guests to feel like rock stars from the moment they walk in the door. But, with 1,200 employees that use our IT platform across four locations, it can be challenging to create a consistent guest experience. We need tools that help us make decisions in the moment -- the party doesn’t stop at the Hard Rock! As the IT Corporate Director of the All Inclusive Collection (which runs all of the Hard Rock Hotels in Mexico and the Dominican Republic), I’m responsible for providing tools to our employees that will let them to work together effectively and focus on our customers. On our old system, Microsoft® Exchange, we had a large datacenter for the hotels to maintain. Our communication tools weren’t flexible enough to make decisions on the go and we couldn’t guarantee that we were running the same promotions at the same time. We worried about the effect on our guests’ experience. I decided that we needed to move to Google Apps and get off of our on-premise infrastructure. Google Apps was fast, safe, and agile and met all of the security standards I was looking for, so I knew that all of our customers’ information would be protected, too! Since moving to Google Apps, we've improved internal communication and are now spending half as much time on things as we were previously. While our hotels are in Mexico and the Dominican Republic, our sales teams are located all over the globe—North America, Europe, Asia, and here in Latin America—and they’re moving all the time. With Google Talk and Google+ Hangouts, we rarely use the phone anymore, it’s easier to jump on a Hangout from any device and from any of our locations. When our sales team in Miami make an important reservation for a wedding or a big group, they chat via Google Talk with the hotel in Cancun, providing immediate assurance and confirmation that everything will run smoothly. Having so many guests across our hotels, problems can arise at anytime day or night, so we can’t have downtime. Rather than worrying about keeping our servers and email running, we spend our time managing tools through a browser. We've saved thousands of dollars in IT infrastructure and telecommunication costs, and my IT headaches are gone. I used to have a team of guys helping me manage servers and keep our email up and running. Now, only two of us manage all of the tools. Google Sites and Google Calendar have been fundamental in organizing our promotions and standardizing our guest experience by allowing us to share across hotel locations. We just had a promotion across all our branches for Christmas and the holidays. We made a site with all of the dates, rates, and details of the deal and we could easily monitor how it was rolled out across each hotel. This process used to take weeks, and fixing discrepancies between the locations was messy. Now, it’s simple, consistent, and happens in real time. On Google Apps, we really feel like a team, working together despite being countries apart. We are able to provide the same level of rockstar service in all of our hotels and create great experiences for our guests. All while improving our customer experience – rock on! Editor's note: Staying safe on the internet means being smart whenever you're online -- at home, at work and on your mobile device. The tips shared below are intended to help you protect yourself and your family. For more information about what Google does to protect our enterprise customers' data, check out our trust series on this blog and our security white paper. Last year, we launched Good to Know, our biggest-ever campaign focused on making the web a safer, more comfortable place. Today, on Safer Internet Day, we’re updating Good to Know to include more tips and advice to help you protect yourself and your family from identity theft, scams and online fraud. You can also learn how to make your computer or mobile device more secure, and get more out of the web — from searching more effectively to making calls from your computer. And you can find out more about how Google works to make you, your device and the whole web safer. We know staying safe online is important to you — and it is important to us too. That's why we've had independent third parties perform inspections and audits for the data protections in Google Apps. 2012 was a year of opening doors to learning on the web for more and more students each day. With the web, students and teachers are using new technology and devices to collaborate with each other in class, from home, and around the world. We want Google in Education to help open more doors and we’re pleased to announce there are now 2,000 schools using Chromebooks for Education–twice as many as 3 months ago. And with several Chrome devices available today, there is a device for any school, any student, anywhere. The most recent schools to join the fray include: Transylvania County Schools in rural North Carolina deploying 900 devices; top Catholic prep school St.Thomas Aquinas High School in Florida going one-to-one with 2,200 devices; and urban charter network Rocketship Education in the Bay Area of California using 1,100 Chromebooks as part of their blending learning approach. The Google Apps for Education community also continues to grow, with Chicago Public Schools bringing 270,000 students, teachers and administrators into the cloud. 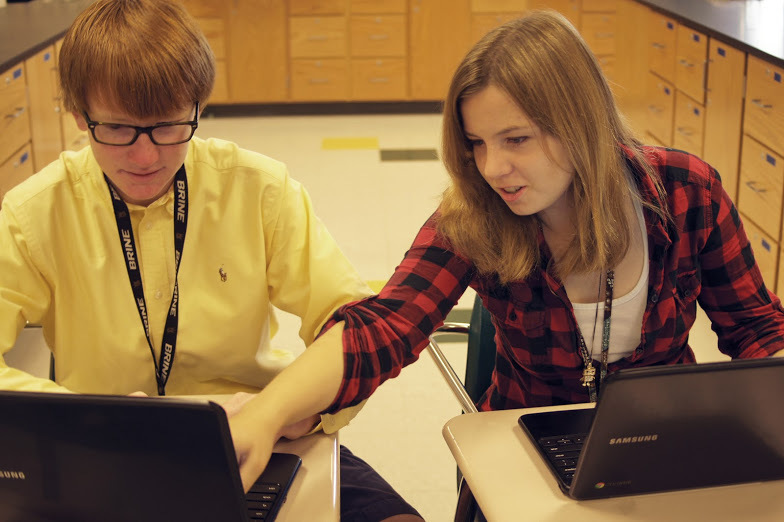 Connor and Meg at Spring Valley High School are two of the over 14,000 students in Richland School District Two in South Carolina who are now using Chromebooks for 1:1 learning. This week I had the opportunity to speak with many in the global education community as I traveled from the FETC conference in Orlando, Florida to the BETT Show in London, U.K. I’d like to share some thoughts from my journey. This week at the FETC 2013 conference, we hosted a panel where school leaders reflected on this past year. In January 2012 some of the first districts announced that they were moving “one to one” with Chromebooks and that they were choosing the web as their learning platform. On the panel Tuesday, these educators talked about the impact the web has had in their schools: enabling tech support internships, allowing homebound students to collaborate remotely, and teaching students to become digital leaders. The results of the hard work of educators and students shows clearly in the impact at Leyden and the changes at Richland Two one year later. On Saturday, I fly out of London, and onwards to the next educator event with even more of the Google in Education community. You can find upcoming live and virtual events on the calendar page of our website. I hope to see you soon – in person or on the web.